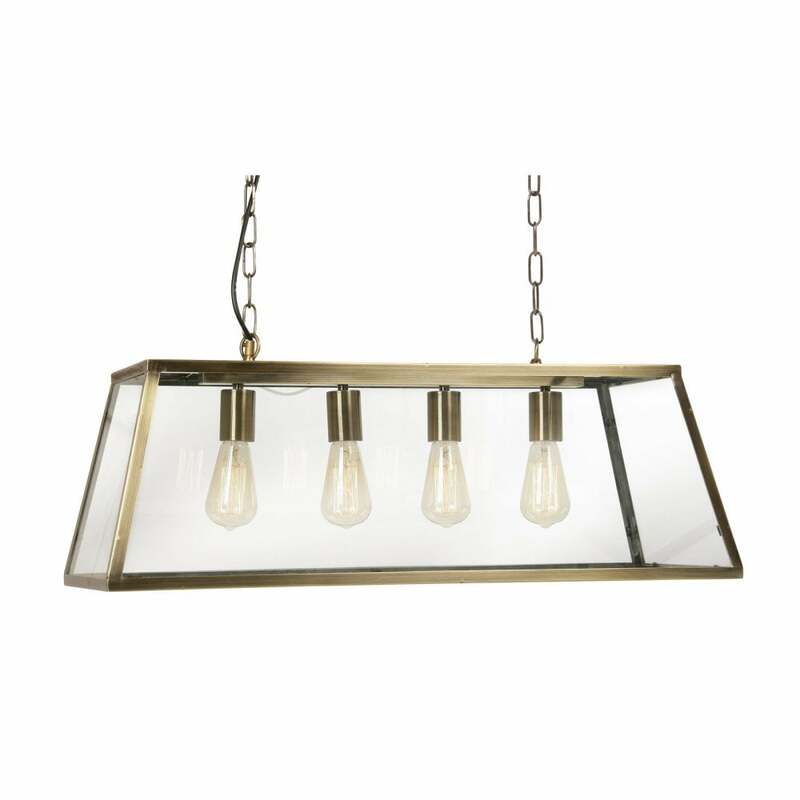 Oaks Lighting Riga 4 light ceiling fitting features a antique brass finish box frame with clear glass panels that houses four lamps, suspended by twin decorative chains. This simple design is reminiscent of the lamps which were common in factories during Britain's industrial era, is perfect for modern kitchens and teamed with vintage filament lamps will complete the look. The product code for this ceiling pendant is 1524/4 AB. Also available in copper finish and a single light pendant and single light wall fitting to complete the look,all can be viewed on our website.